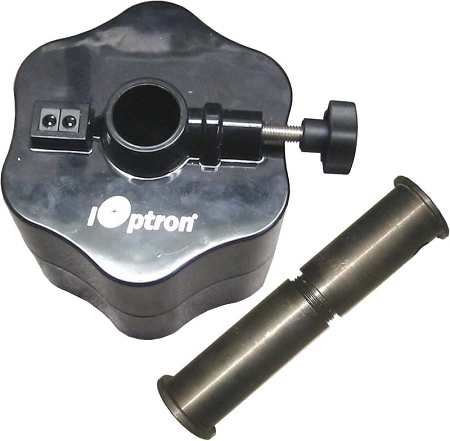 Use this battery pak in place of your traditional counterweight (CW), and avoid long extension cords. 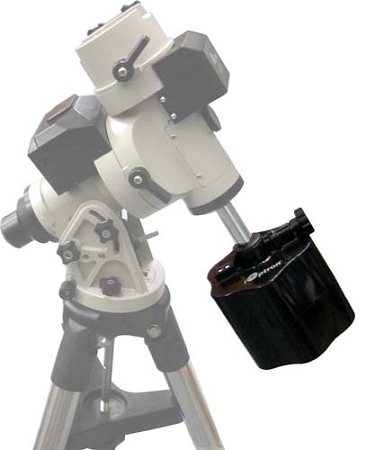 Inside the counterweight are 6 heavy duty spiral wound valve-regulated lead-acid (VRLA) battery cells. 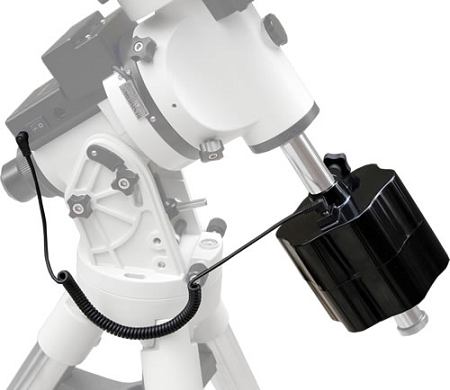 The 8 amp-hour power pack provides power for operation of your telescope gear out in the field. 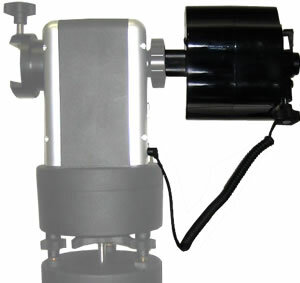 *Photo shows battery pak attached to Mount. Mount not included.